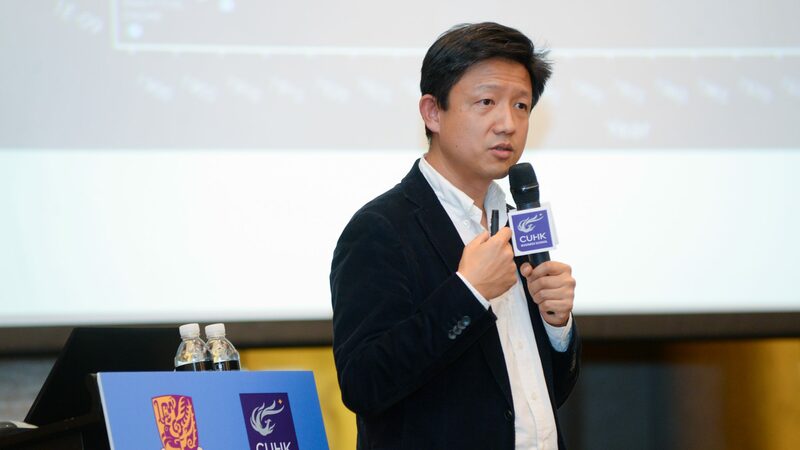 Appointed in summer of 2018 as Associate Dean (Innovation and Impact), Michael Zhang, Professor of Department of Decision Sciences and Managerial Economics at The Chinese University of Hong Kong (CUHK) Business School, shared about his thoughts on research, teaching, school leadership and corporate partnerships. He talks about innovation, business models, and how luck has a huge role to play in business success. Prof. Michael Zhang completed his undergraduate at Tsinghua University back in 1996 majoring in two languages – English and Computer Science. He chose English because it was the language that could connect him with the world, and Computer Science allowed him to communicate with machines. The ability to communicate with both people and machines brought him from Beijing to Boston and eventually to Hong Kong, influencing both his personal and professional life. Those were the emerging years of the “World Wide Web” and Prof. Zhang found out that Beijing Telecom, a subsidiary of China Telecom, was inviting people to sign up for its first 200 email accounts. Dialing up to the internet in 1992 through his phone line at home, Prof. Zhang got his first email account, as well as a RMB2,000 phone bill – an astronomical figure in those days which his mother reprimanded him for. What was dubbed as teenage curiosity sowed the seeds of innovation that went on to pave his personal and professional development for the next two decades. After completing his undergraduate studies, Prof. Zhang had short stints with 21vianet, the first internet data centre set up in China, as well as China United Holdings as an investment banking consultant, both giving him exposure to real life applications of technology and confirming his approach in choosing research topics based on usability. With an increasing interest to understand the impact of information technology on marketing including products, behavior of both buyers and sellers, advertising, search engine and the ensuing financial returns, Prof. Zhang went on to do his Masters of Science in Management with Tsinghua University and completed his PhD in Management at MIT Sloan School of Management, writing his dissertation on “Tapping into the Pulse of the Market – Essays on Marketing Implications of Information Flows”. Prof. Zhang shared about a project with the Chinese internet-related services and products company Baidu back in 2016-2017, on how they were looking to use advanced artificial intelligence technology to improve its business model. Similar to many of his past collaborations with the private sector, this opportunity came about by chance, when one of his contacts at Tsinghua University who is an advisor to Baidu reached out to him to see if he could help. His project studied the behavior of advertisers who placed bids on Baidu’s search engine, and after analysing 70TB of data and helped develop new algorithms which enabled Baidu to be able to set a minimum cost on marketing keywords, ultimately increased the company’s revenue by 26 per cent. In early 2019, he will be teaching students of MSc in Management and MBA in Finance programmes on courses such as financial data analysis, FinTech and entrepreneurial finance. 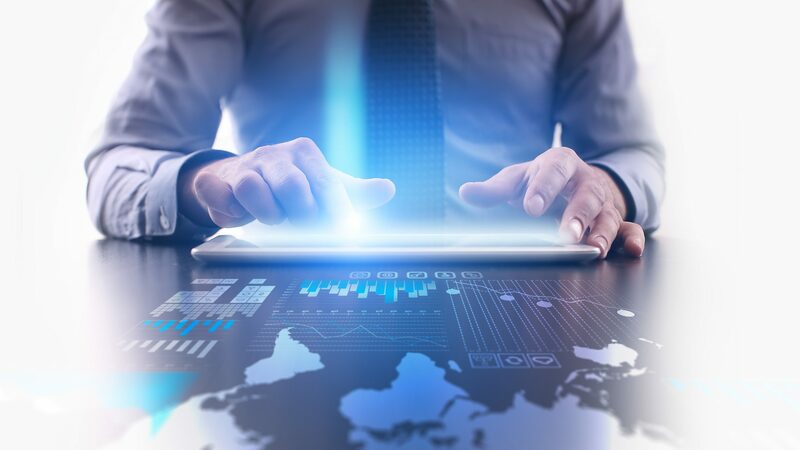 The objective of the FinTech course is to educate students about social impact that FinTech businesses should and can create, while equipping them with foundational programming skills that students will be able to use even in their personal daily lives. The entrepreneurial finance course, a rather straightforward curriculum, covers the basics of how to raise capital for entrepreneurial ventures and improve start-ups’ valuation. He admitted that next spring will be a challenge as he will be teaching executives in the EMBA (Chinese) programme about the strategic value of IT in transforming traditional business, given how many of these executives are already very successful in their own rights.